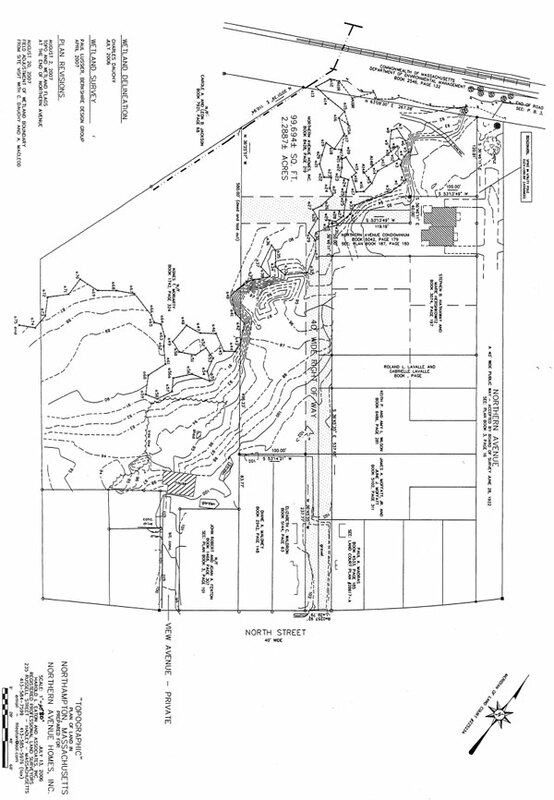 On August 18, 2007 I visited the property off Northern Avenue where a development is planned. The property is owned by Doug Kohl and he accompanied me on the site visit. The purpose of the visit was to determine whether vernal pools are present on the property and if so, where they are located. The property is mostly flat and a large portion is forested wetland. Water was absent in all of the wetland visited today. Most of the wetland includes ground vegetation such as poison ivy, royal fern and cinnamon fern. There are some areas within the wetland that are unvegetated, with only mud and a small amount of woody debris on the ground. In some of these unvegetated areas I found shells of fingernail clams (family Sphaeriidae, also known as Pisidiidae) and amphibious snails from two different families: Lymnaeidae and Planorbidae. All of these species are vernal pool indicators when found in a dry basin. Therefore these areas meet the definition of vernal pools. Besides the two mollusks, no other facultative or obligate vernal pool indicators were found. Two of the areas where the mollusk shells were found were in discernible, though slight, depressions. Another area where they were found was a long narrow strip about two feet wide where no visible depression was observed. These areas had in common that ground vegetation was absent exposing the bare mud. There were also other areas of exposed mud where the mollusk shells were NOT found. These included the bed of an intermittent stream that runs to the culvert under the bike path. Since the exact boundaries of the probable vernal pool(s) are hard to detect during this time of year, the Conservation Commission voted to delay this determination until the spring. The commission did approve the overall wetland delineation as hammered out this week between Alec MacLeod and Chuck Dauchy, and agreed to accept that Millyard Brook, which runs within the wetlands, is an “intermittent stream”. This classification means the brook may enjoy less protection than a perennial stream or river. Here for your reference is Kohl’s revised wetland delineation that takes into account the changes agreed to by MacLeod and Dauchy. These changes, which were relatively minor, concentrated in the northwest corner of the property. A detail is provided below the main delineation. The delineation is also available as a PDF. 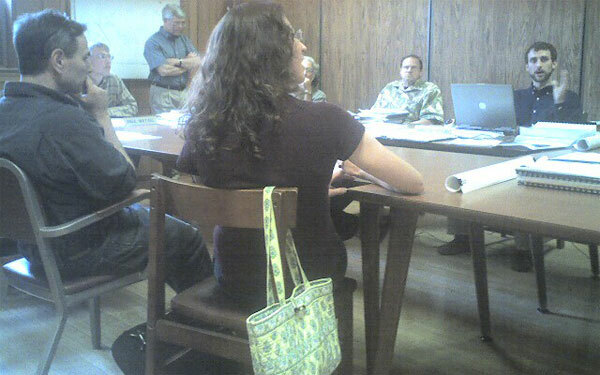 Pictures from the City Hall Hearing Room follow. In the foreground of the picture below, Doug Kohl and Gloria McPherson of Kohl Construction listen to Bruce Young (far right). Mr. Young is a Land Use and Conservation Planner for Northampton, and the staff contact for the Conservation Commission. Ms. McPherson herself was a Northampton Land Use and Conservation Planner earlier in the decade prior to joining Kohl Construction. Standing by the whiteboard is one of Kohl’s wetlands experts, Chuck Dauchy. 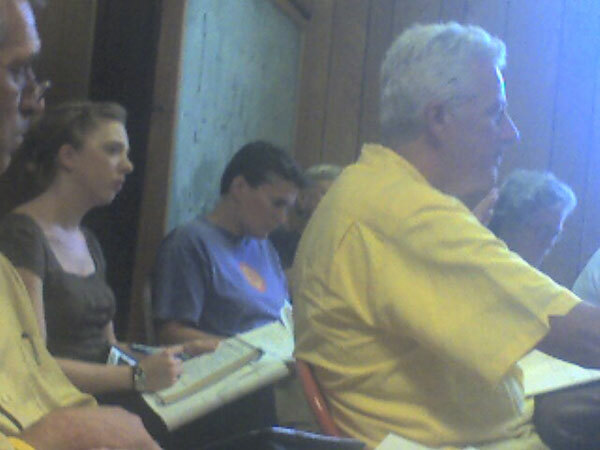 Members of the audience included NSNA members Dennis Helmus (in the yellow shirt below) and Paige Bridgens to his right. …I am writing to report on my site visit with Chuck Dauchy to review the wetland delineation on the parcels located off of Northern Avenue. We met on-site yesterday and spent several hours going over the delineation. The locations of the wetland boundary along the “A” line between A-8 and A-12 as well as A-15 through A-18 have been moved farther up the slope, as has the boundary between wetland flags W-1- through W-15. 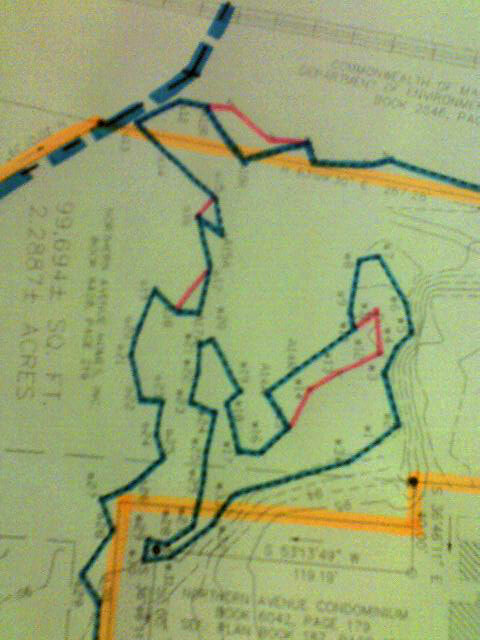 Kohl Construction Plans, Maps, Wetlands. permalink.